At BaselWorld 2014, De Bethune will unveil a truly innovative chronograph that is the result of seven years of research and development. The DB29 Maxichrono Tourbillon is a mono-pusher chronograph with five central hands! The hands that give this watch its identity are designed to follow the different shapes and curves of the silver-toned dial. They are all in hand-polished steel that has been flame-blued except for the chronograph minutes hand, which is in rose gold. A single push button, coaxial with the crown at 3 o'clock, operates the chronograph. The 46 mm rose-gold case of the DB29 with its smooth curves features the brand’s trademark cone-shaped lugs. 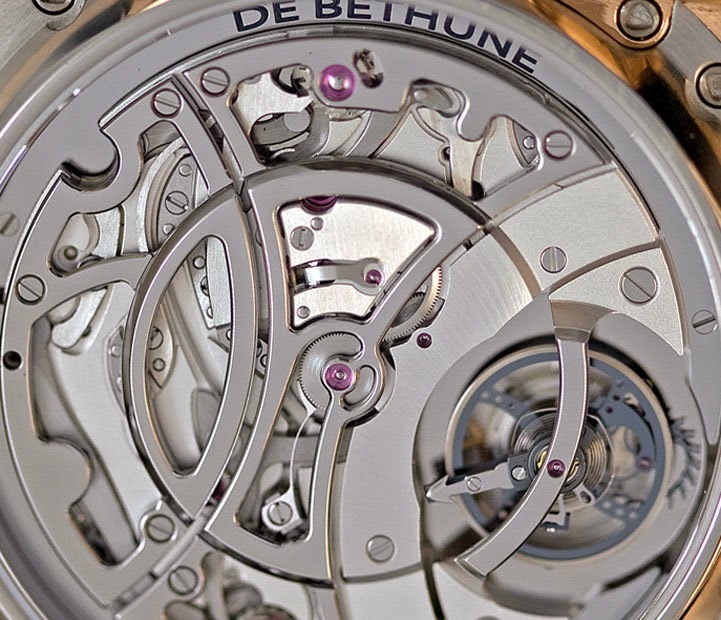 A push button at 4 o'clock opens the cover on the sapphire-crystal glass of a titanium case back to reveal the construction of the hand-wound calibre DB2039 with its polished steel bridges, the tourbillon at 3 o'clock and the complex mechanism of an innovative time-measuring system featuring three column-wheels. 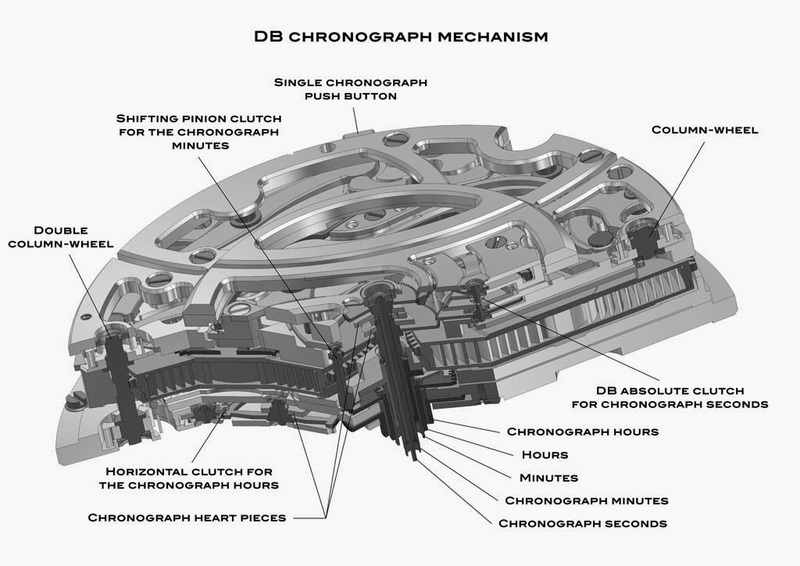 This chronograph can measure even long elapsed times thanks to its counters for 60 seconds, 60 minutes and 24 hours. The central chronograph hands are mounted on co-axial stacked wheels, a complex system that requires real technical expertise to achieve. Exceptional precision is ensured by the De Bethune 30-second Tourbillon in silicon and titanium oscillating at a rate of 36,000 vibrations per hour – one of the fastest and lightest on the market with its 63 parts weighing a total of 0.18 grams. De Bethune’s research and development department has announced the filing of a patent application n° CH00076/14 for the chronograph mechanism. 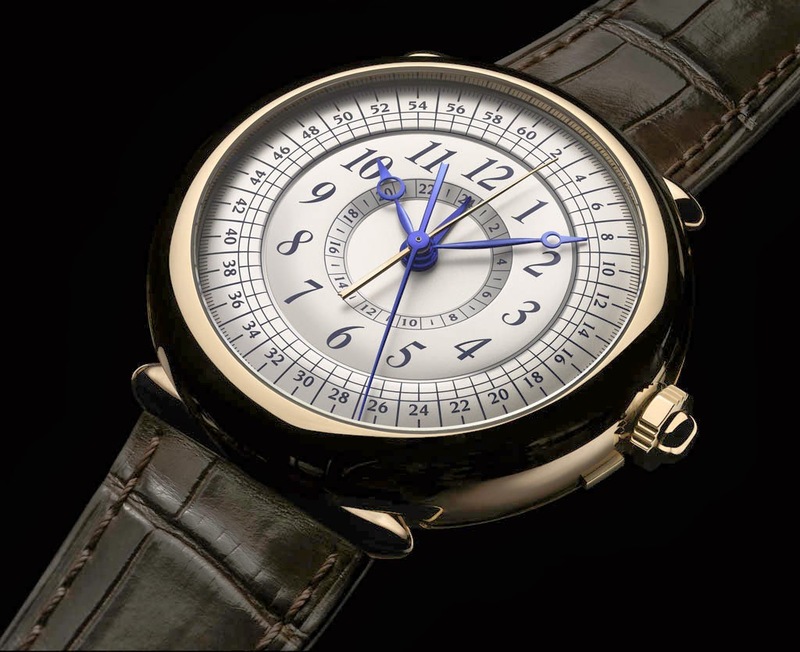 De Bethune’s absolute clutch maintains the most of the advantages of the horizontal and vertical clutch systems while eliminating their faults. 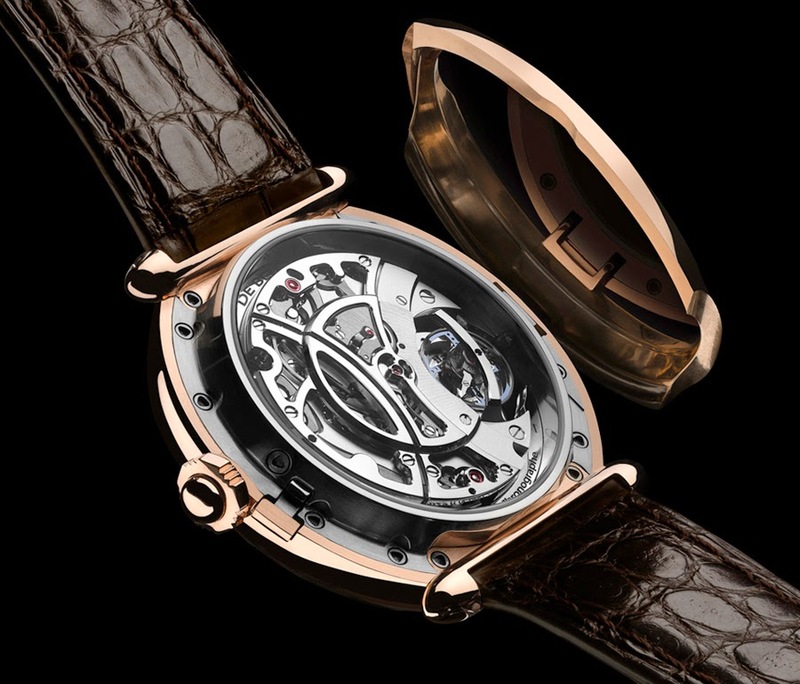 In 2014 De Bethune will produce only twenty pieces of DB29 Maxichrono Tourbillon (ref. DB29RS1). At BaselWorld 2014, De Bethune will unveil a truly innovative chronograph that is the result of seven years of research and development. The DB29 Maxichrono Tourbillon is a mono-pusher chronograph with five central hands! De Bethune’s research and development department has announced the filing of a patent application n° CH00076/14 for the chronograph mechanism. 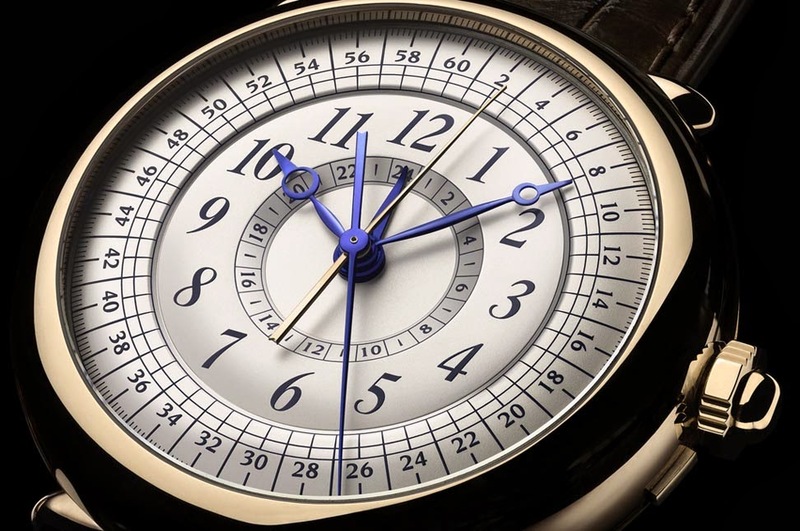 In 2014 De Bethune will produce only twenty pieces of DB29 Maxichrono Tourbillon (ref. DB29RS1).